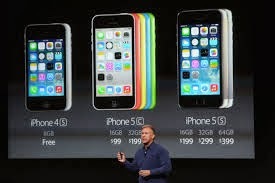 Dec 05 2013-We all know that Apple Launches two new phones the Iphone 5s and Iphone 5c in the past November , in India. The Iphone 5s comes with lot of new features that no other devices are built with. Iphone 5s is made of anodized aluminium body with diamond cut chamfered edges , and looks a remarkable thin and light , awesome crafted design. 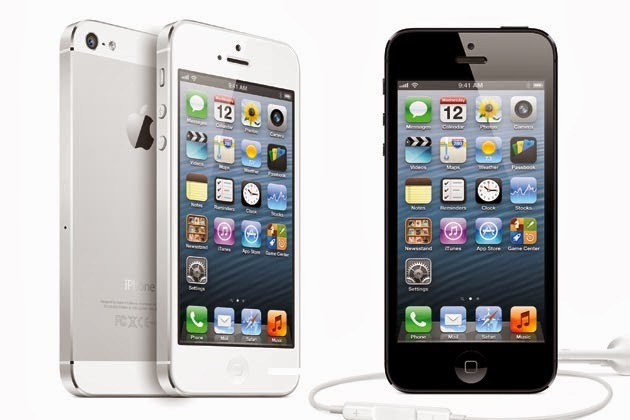 Iphone 5s is available with three 16 GB, 32 GB , 64 GB. and it is also available in three colors White, black and gold color. OS and Processor- Apple Iphone 5s comes with the new Apple A7 chip which has two cores and is clocked at 1.7 GHz . The Iphone 5s runs with the new iOS 7 operating system which features a complete redesign of Apple's proprietary mobile OS with latest interface which has been designed to support A7 chip's 64-bit architecture, the latest isight camera and Touch ID fingerprint sensor. Camera and memory- Apple Iphone 5s comes with a 8 mega-pixel iSight rear camera that has a larger f/2.2 aperture and large sensor with 1.5u pixels for low-light and better sensitivity performance. The front camera comes with HD front camera for better low-light pictures. Along with 64-bit A7 chip , the rear camera provide better photo capture, auto focus , automatic photo and video stabilization.One of the special feature of camera is True Tone flash ,that it can adjust the colors intensity for over 1000 combinations to make images taken with flash appear more natural.Apple Iphone 5s comes in 16, 32 and 64 GB internal memory options for storage. Media and connect - Apple Iphone 5s comes with latest camera applications with iOS 7. The apps include Burst Mode, Slo-Mo video with 120 fps and improvements to panorama features. ios 7 includes many latest features like control center, improved multitasking, notification center, Airdrop, enhanced photos, safari, siri etc. Users can choose their preferable apps from Apple app store. The Iphone 5s connects easily to high speed networks with support added for LTE wireless bands. and also includes with dual-band Wi-Fi, Bluetooth 4.0, 3G/LTE and 2G among its other connecting options.